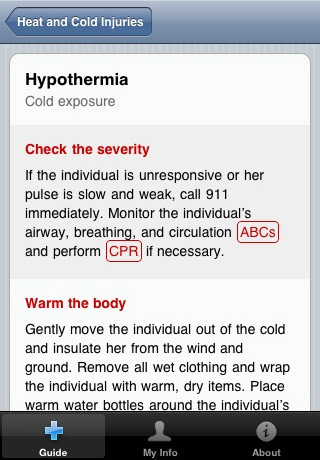 Be prepared 24/7 for a medical emergency. Whether you’re at home, on the road, or in the woods, Jive Media’s Pocket First Aid & CPR Guide is at your fingertips with concise, clear instructions to care for you and your loved ones. Dozens of articles, including CPR, the Heimlich Maneuver, bites, bruises, burns, seizures, diabetic emergencies, and many more. 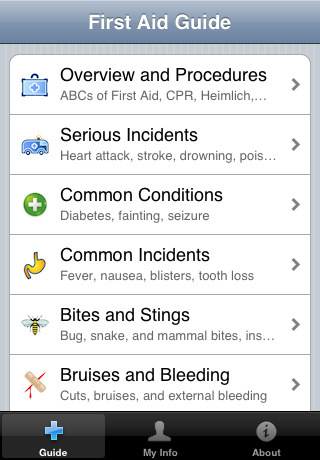 All articles are stored on your iPhone, so you can provide first aid even when out of cell phone range. Enter your medical information on the My Info tab. 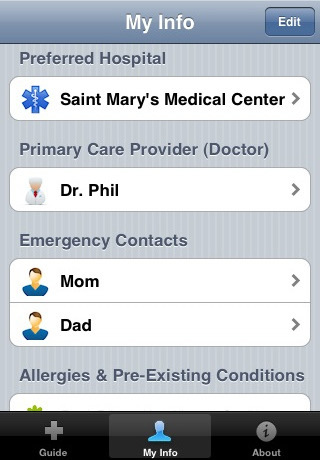 Save your doctor’s contact information along with your hospital, emergency contacts, allergies, and medications. 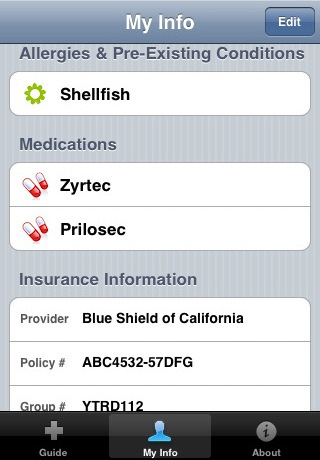 You can also save your insurance information for quick access.